Eterium has added support for Rudder Pedals, a new mouse control option, better explosion sounds and much more! The patch is available on both Steam and Desura. 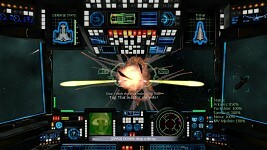 Born from a successful Kickstarter, Eterium brings the old-school space combat simulator into the modern era. 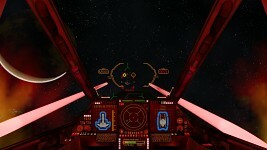 From a cockpit view, pilot your starfighter against the evil Revi forces as you advance your way through a story driven campaign with over 50 missions, advanced enemy AI, auto adjusting difficulty and tight controls. Check out the game on Steam and Desura.